Alaska Native News Feb 10, 2019. Although they have yet to apprehend either suspect in last Monday’s arson at the East Tudor Yakitori Sushi establishment, APD commends and thanks the public for assisting them in identifying one of the suspects. APD also said publicly to the suspects involved in the arson, “Those involved in these crimes should know that the public is actively assisting us with tips and evidence. Police, with public’s assistance, has identified 36-year-old John Vang as one of two involved in the fire at the sushi restaurant. They report that Vang has possible burn injuries to his lower body. 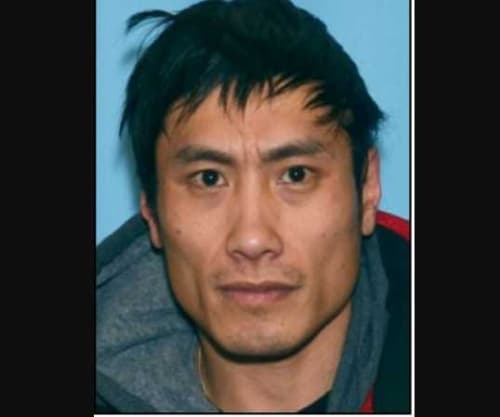 APD points out that Vang is not the suspect that can be seen pulling off a burning glove as the duo escape the building after setting fire to it. Both are suspected of suffering burn injuries. Investigators have yet to reveal the name of the second suspect in the burglary/arson. The fire was reported at 4:20 am on February 4th and APD took over the investigation. You can view a short video that shows the scene immediately after the fire was set and the injured suspects flee the building here. The building was destroyed in the blaze.